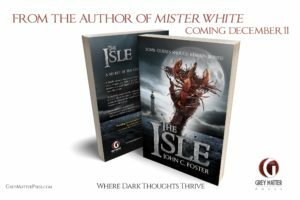 Fist look at the cover for The Isle! 30 Oct Fist look at the cover for The Isle! I’m beyond excited to share the first glimpse at the wonderful cover Grey Matter Press put together for The Isle, coming out December 11.